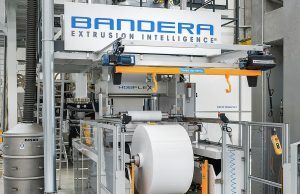 Our partner Bandera, are worldwide specialists in the design and manufacture of Blown Film Lines and a globally recognised brand in the plastics industry. They supply complete single and multi-layer blown film solutions for the production of technical packaging films. Applications include the food, medical and pharmaceutical sectors, in addition to agricultural film, biodegradable film and thick film for geomembranes, intended for civil and industrial waterproofing systems. Featuring a compact and functional layout, these 1, 3 and 5 layer blown film lines provide maximum flexibility for a variety of applications. 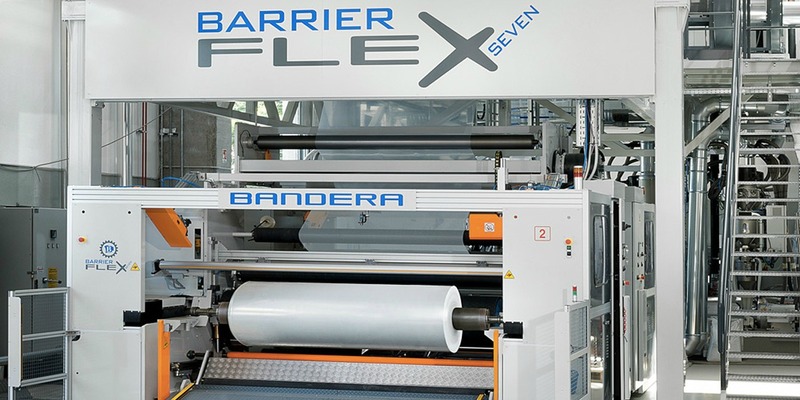 Reduced power consumption and importantly a competitive level of investment make the SmartFlex® series an excellent choice in applications such as packaging film (food and non film), thermos shrink film, lamination film, stretch hood film and converting film. 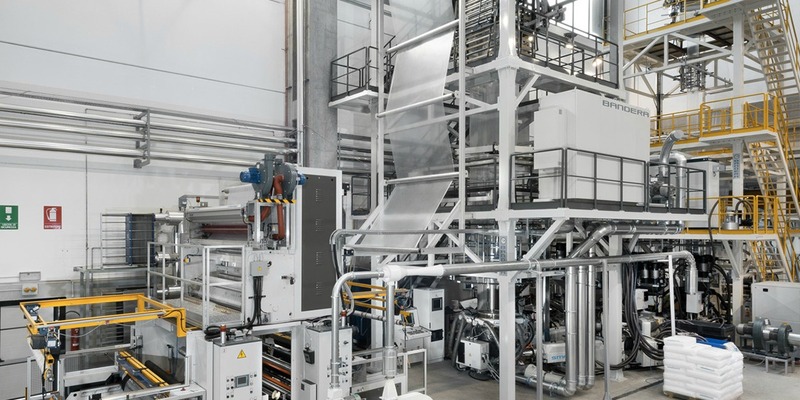 A series of 3 and 5 layer co-extrusion Blown Film Lines for the production of top performing, high tech multi-layer film. These blown films lines are used by manufacturers producing film to be used in top performing converting and printing lines and manufacturers of film with specific characteristics for industrial applications. 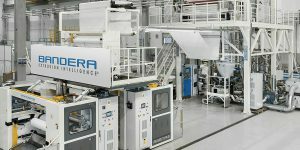 The 7, 9 and 11 layer co-extrusion lines in this series are designed for customers manufacturing top class high-barrier technical film. Applications include food, medical, pharmaceutical and mechanical, for example automotive. Blown film lines for the production of industrial bags, featuring many innovative mechanical characteristics which make these lines extremely popular with our customers. Bandera is a worldwide leader in the production of complete multi-layer Blown Film lines for agricultural film. 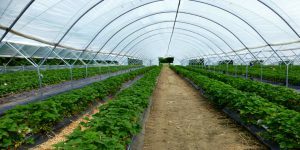 This is used in applications such as greenhouse cover film, silo-bags silo-stretch film, solar sterilisation film, mulch film and low walk-in tunnel film. The lines flexibility and versatility takes into account that agrifilm is a seasonal product. 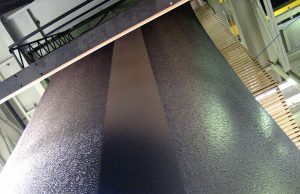 With the same co-extrusion head and minimised set-up times, thicker films such as waterproofing geomembrane may also be produced. Thus ensuring a profitable year-round extrusion line. 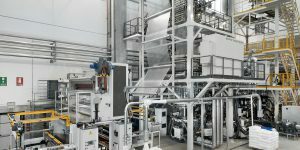 Production lines for the manufacture of Geomembranes used in landfills, tunnels, collection tanks, water basins, irrigation channels, extraction mines, motorways and dam protections.